This awesome trick works in all versions of VLC’s. 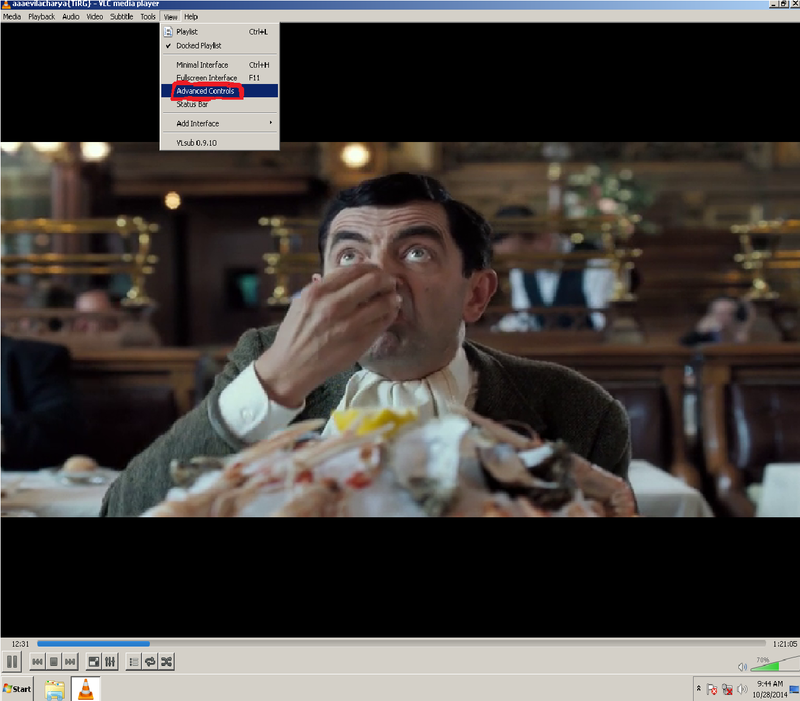 Play the required video with VLC media player from which you have to record/extract the desired part of the video. Go to the option “View” in the top most bar, and then select the option “Advanced Controls” as Shown. Click the red button when you want to record the video like you want to record a song of a movie then you have to click the red button when the song starts and you have to click again when the song ends. That’s it your desired video is ready and always remember the recorded video will save automatically in My Documents => Video.